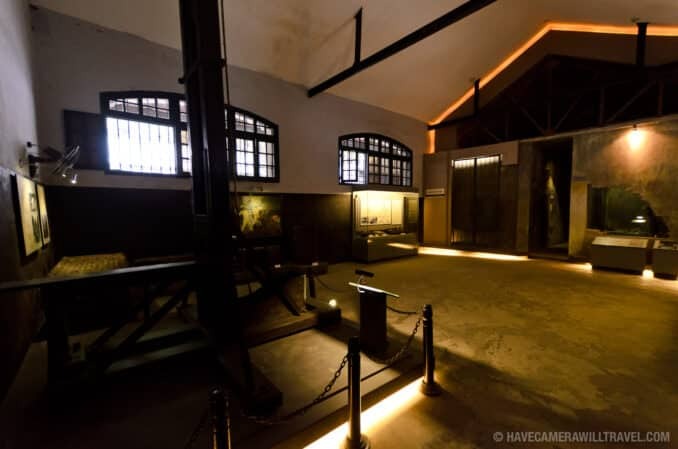 One of the main communal rooms, with depictions of the prisoners shackled to the platforms on either side. Photo by David Coleman. How to license & download this image. In case you're tempted to think you're in a place of sweetness and light, the ominous music playing over the sound system as you walk through the rooms is a not-so-subtle hint that this place has seen some misery. 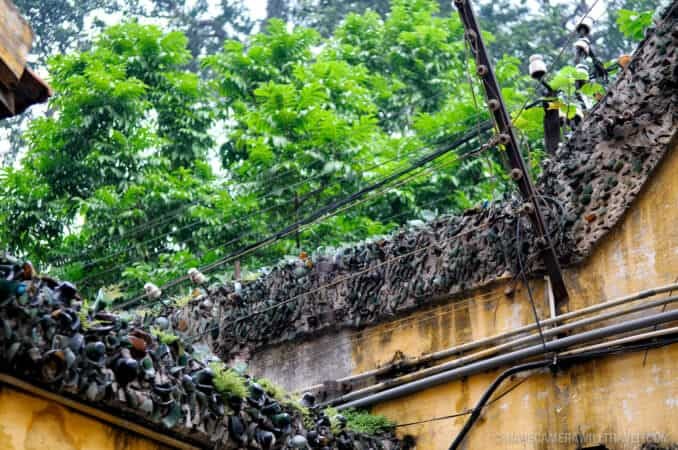 Southeast Asia is not renowned for the comfort of its prisons at the best of times, but Hoa Lo Prison in downtown Hanoi has a particularly grim history. This is a place of brutality. A place of torture. It's the Hilton no-one wants to stay in. Hoa Lo Prison used to take up the whole block. 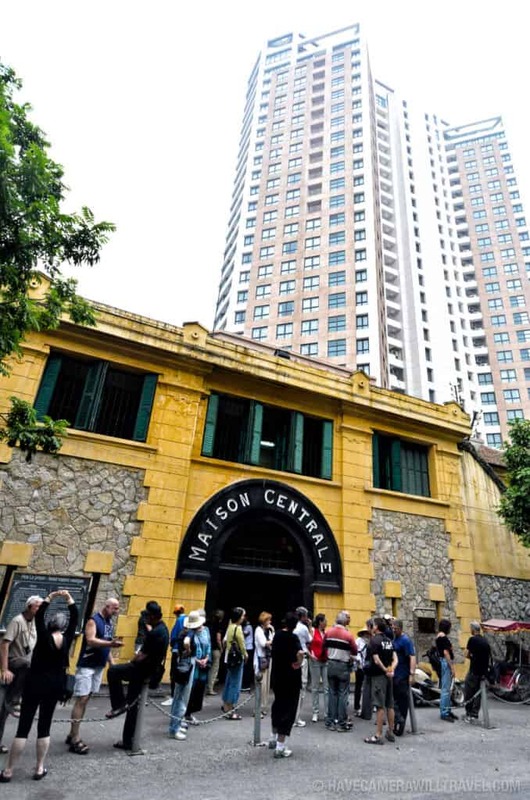 In 1993, the Vietnamese government decided that this prime real estate in downtown Hanoi could be put to better use. Most of the original jail has gone, a modern skyscraper with high-end Western restaurants and boutique stores now takes up much of the space. But one corner of the original jail has been preserved as a museum. 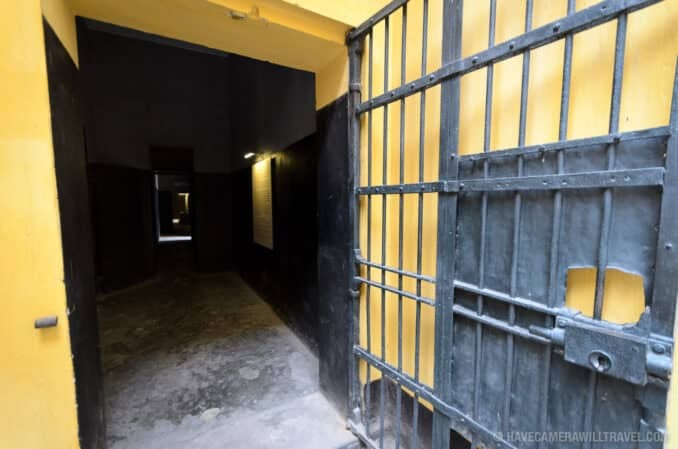 Visitors can now walk through the cells that have been the scene of so much suffering. And the museum dwells on that suffering, going into great detail about torture and barbarous treatment. Life-size dummies illustrate how inmates were shackled by one leg, unable to stand or walk. 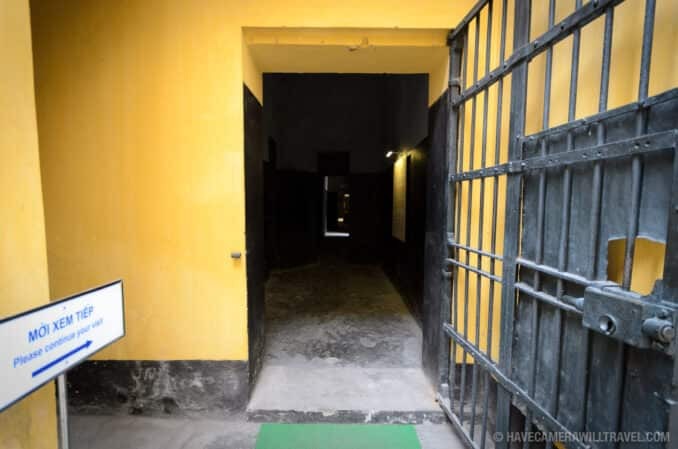 The walls of some of the cells on the dark death row have been cut away and replaced with glass so that visitors can peer into the tiny, dark, and dirty solitary confinement cells used for those awaiting their execution and others being punished. 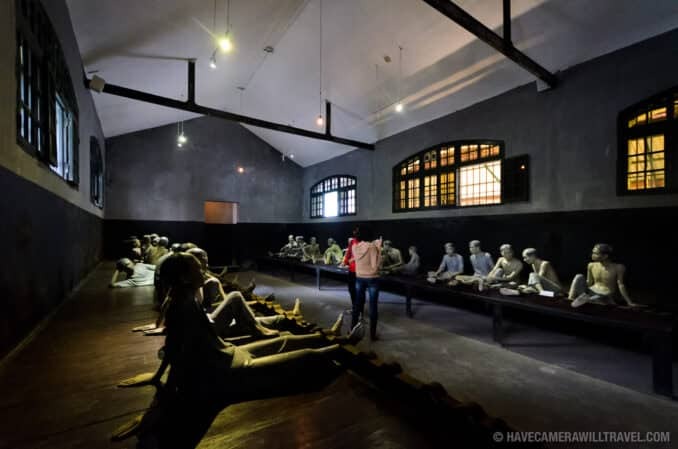 The panels of text, in English, Vietnamese, and French, lay out the degrading treatment by the prison guards toward their captives and the cruelty suffered by the inmates. All of which at first seems a bit surprising given that this is a museum run under the auspices of the Vietnamese government. The official guidebook even notes that it is approved with the required publication permit. But the villains of the story that the museum tells are not the ones a foreign visitor might expect, especially one from the United States. There are two rooms dedicated to the American pilot prisoners of war. The artifacts, photos, and text portray a markedly better image than the rest of the prison. There's a bed, prisoners' clothes, and personal effects. 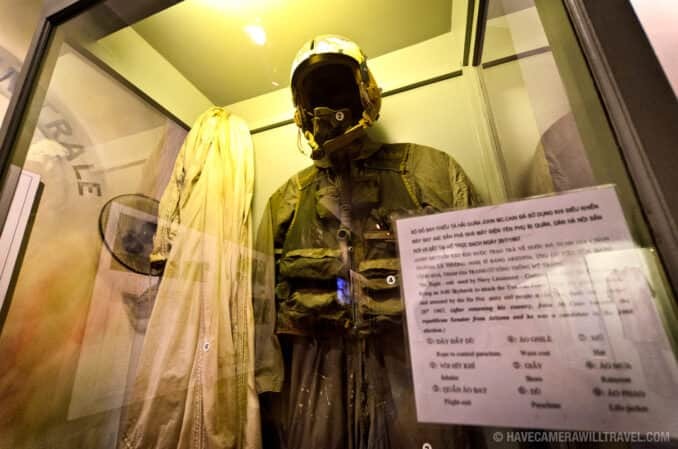 In that room, there's also the flight suit and parachute that John McCain was wearing on his ill-fated bombing mission when he was shot down and fished out of Truc Bach Lake. As if you didn't get the message from that room, the other room goes further. There are photos of the American POWs celebrating Christmas, eating well, playing chess and even pool. The prisoners had freedom of religion while in the jail, the exhibit says. According to the captions, they also received good medical care, received care packages from loved ones, and were allowed access to reporters and humanitarian agencies. A video that plays on a continuous loop shows the prisoners being treated well, cooking Christmas dinner, even joking with their jailers. 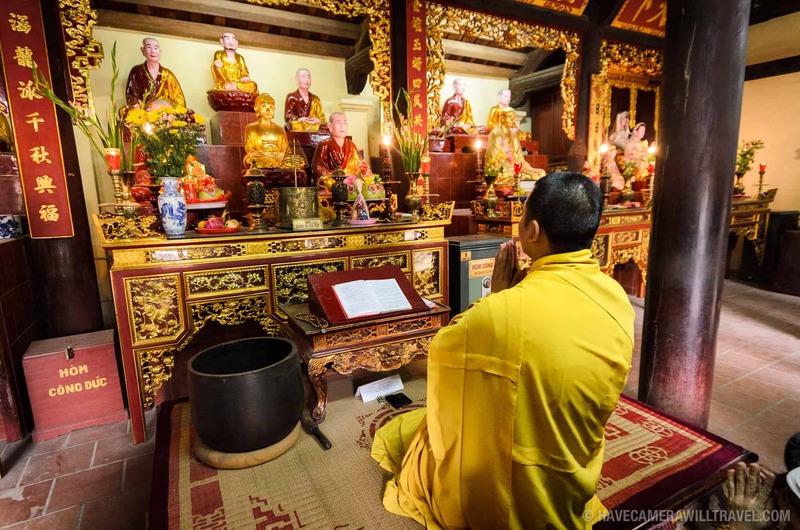 The prisoners should be so lucky as to be imprisoned by the Vietnamese, the narration says. And in an astonishing display of willfully missing the point, the narrator says that the POWs found their digs so comfortable that they named it after a luxury hotel chain. If all of this sounds too good to be true, that's because it is. It's propaganda, pure and simple. There's no denying that the photos and videos are effective--even though they're staged, they're staged well--but numerous accounts from the prisoners when they got home paint a much more abusive life in the prison, a life of beatings, rope torture, solitary confinement, deprivation, and arbitrary punishment. Most of the museum dwells not on American prisoners, but on Vietnamese. 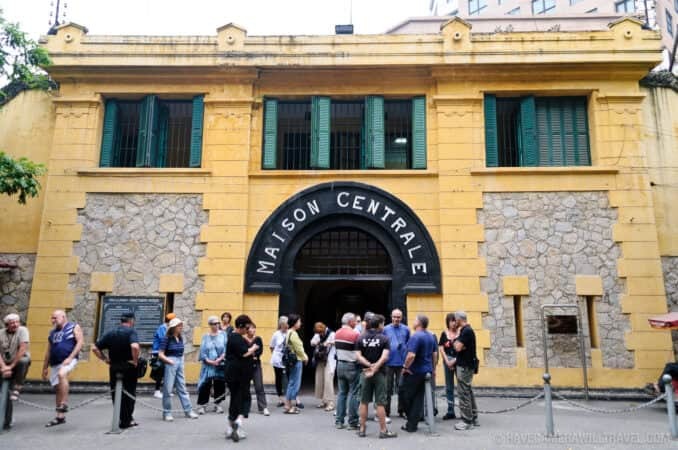 This was a jail built by the French colonial government; its first prisoners arrived in 1899. 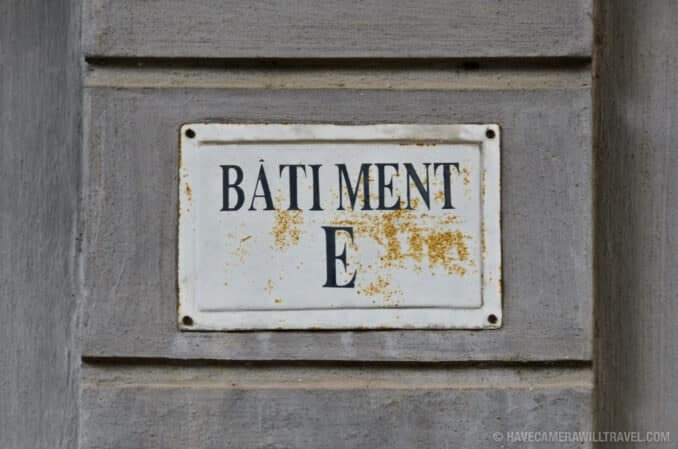 The French kept mainly political prisoners here along with those awaiting sentencing at the nearby Court of Justice. 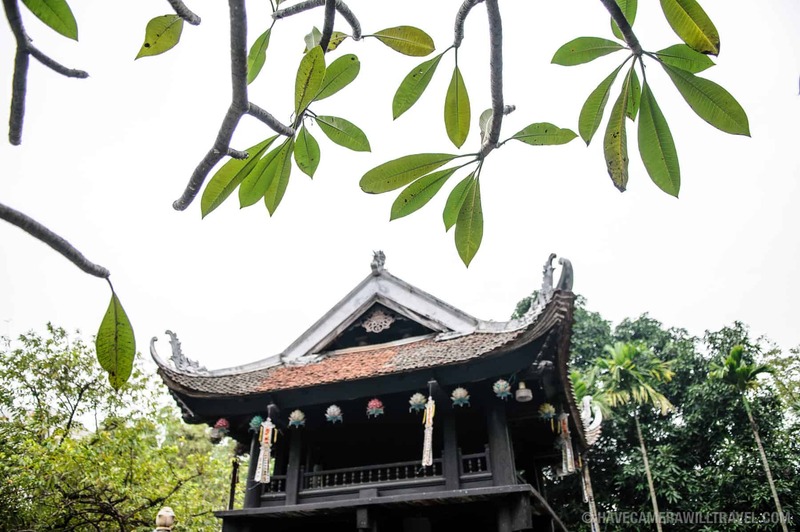 It was originally built to house 500 inmates; at a peak in the early 1950s, just before the French were defeated decisively at Dien Bien Phu and forced out of Indochina, Hoa Lo held 2,000 prisoners. The outer area of the complex held the administrative offices, guard headquarters, medical clinic, prisoner kitchen, and cells for European and women prisoners. The inner sanctum, with much heavier security, held the death rows and punishment cells. One of the solid gates at an entrance to the inner part of the prison. Photo by David Coleman. How to license & download this image. A depiction of a prisoner in one of the solitary confinement cells. Photo by David Coleman. How to license & download this image. The flight suit that U.S. Navy pilot John McCain was wearing when he was shot down over Hanoi. Photo by David Coleman. How to license & download this image. The main entrance. The prison lies behind this bright yellow facade. Photo by David Coleman. How to license & download this image. A view from inside of one of the outer walls. You can't tell very clearly in this photo, but the top of the wall is covered with sharp shards of broken glass. Photo by David Coleman. How to license & download this image. You can see some of the broken glass on top of the walls more clearly in this shot. Photo by David Coleman. How to license & download this image. The Main Centrale sign arched over the main entrance. Photo by David Coleman. How to license & download this image. Outside the main gate. Photo by David Coleman. How to license & download this image. 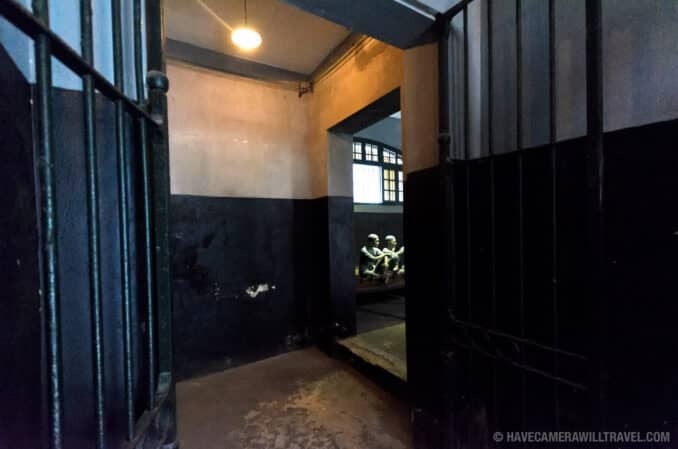 Inside death row at Hoa Lo Prison. Photo by David Coleman. How to license & download this image. 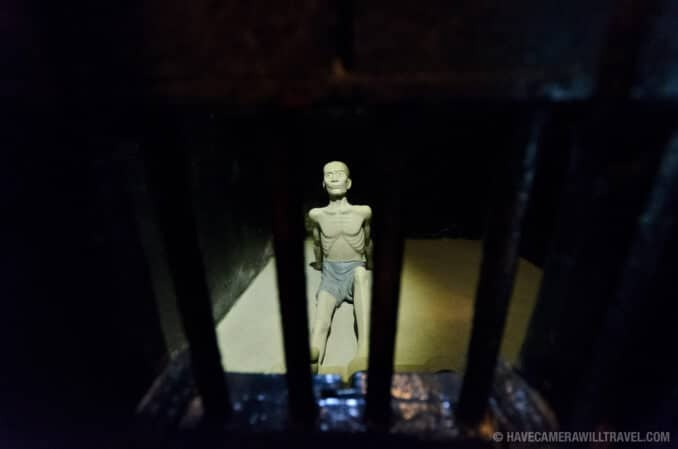 In an upstairs section of the museum, there's a memorial to Vietnamese political prisoners held at Hoa Lo Prison under French colonial rule.Photo by David Coleman. How to license & download this image. Cell Block E at Hoa Lo Prison. Photo by David Coleman. How to license & download this image. 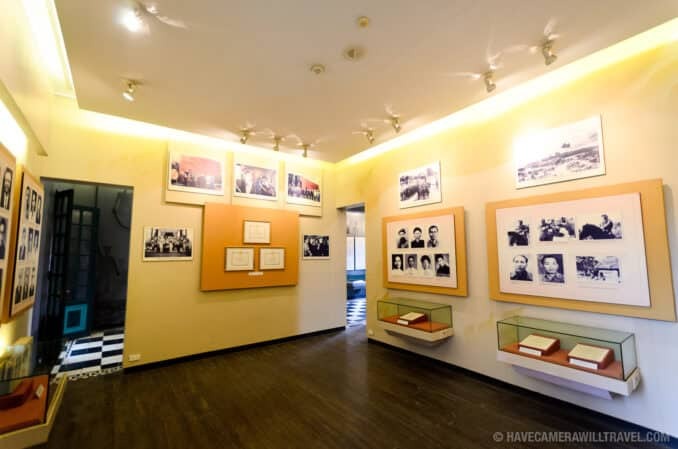 An exhibit room in the museum section focusing on Vietnamese political prisoners. Photo by David Coleman. How to license & download this image. Part of the wall has been cut away to allow visitors to see into the small, dark cells along death row. A plastic dummy here depicts a prisoner. Photo by David Coleman. How to license & download this image. 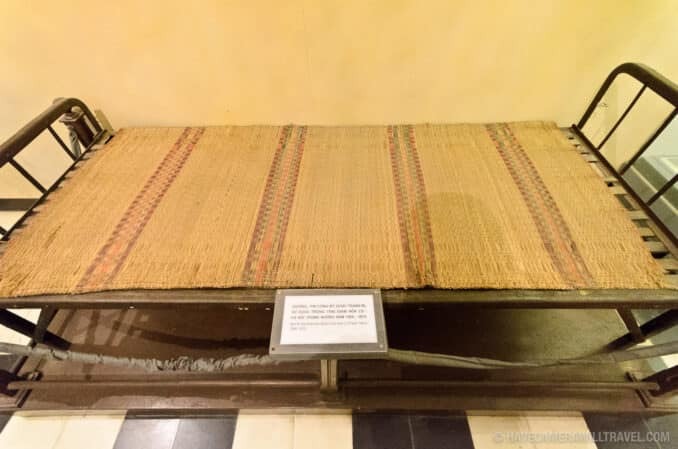 A rudimentary cot on display that's presented as a piece of evidence in the museum's contention that the American pilots held at Hoa Lo Prison were well treated. Photo by David Coleman. How to license & download this image. 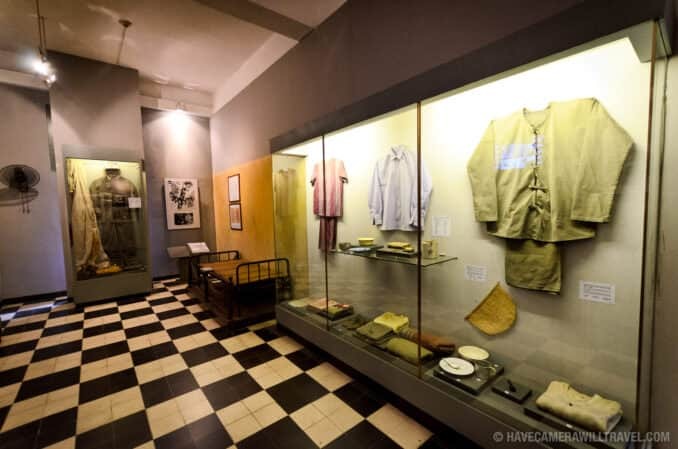 An exhibit room at Hoa Lo Prison. At left is one of the two guillotines the French colonial government used to execute those condemned to death. At right is the entrance to the row of cells for prisoners scheduled for execution. Photo by David Coleman. How to license & download this image. 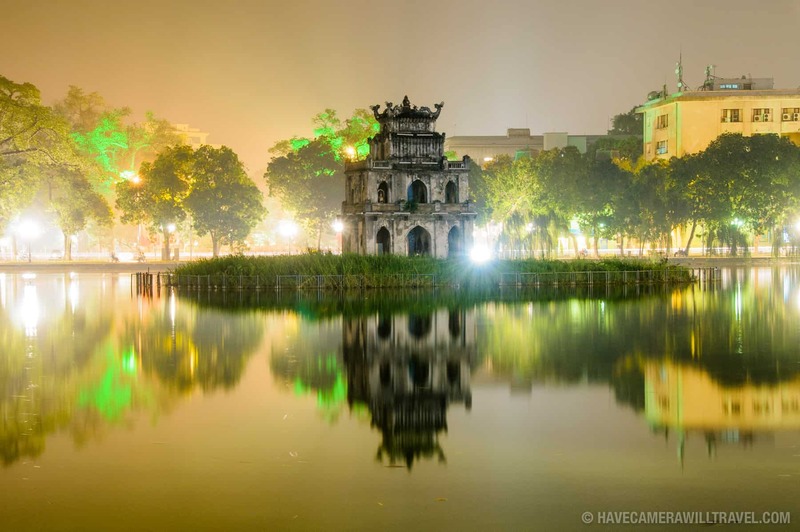 Side by side with modern Hanoi. Photo by David Coleman. How to license & download this image. 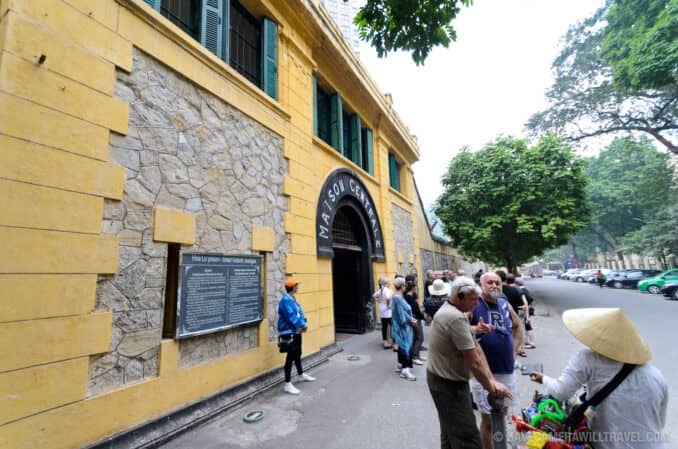 One of the two rooms at Hoa Lo Prison dedicated to the American pilots held there during the Vietnam War. 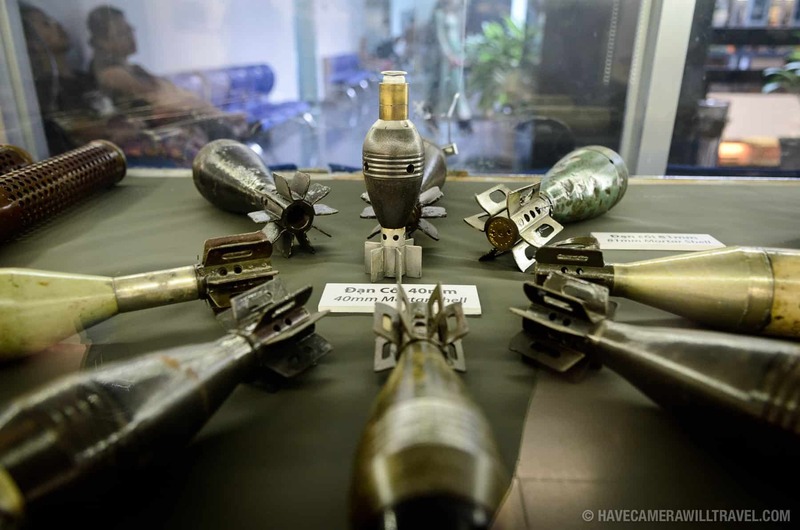 The exhibits focus on making the case that the pilots were well treated, despite many reports of mistreatment and tortue at the prison at the hands of the North Vietnamese. At right are some clothing and personal effects used by the American prisoners, which are presented as stark contrasts to what was offered to Vietnamese political prisoners under French colonial rule. Photo by David Coleman. How to license & download this image. 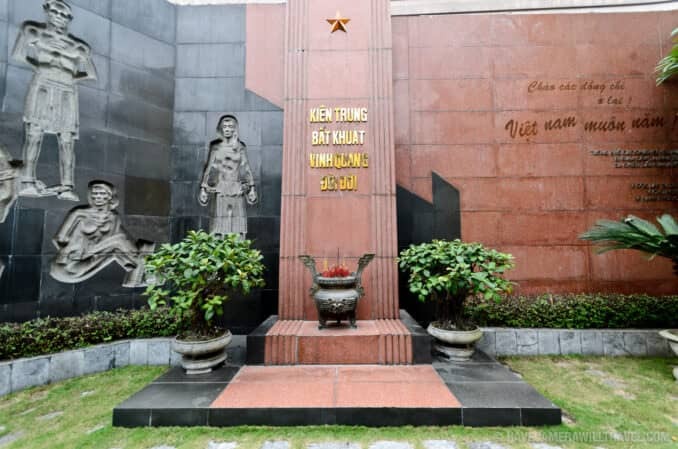 A memorial at Hoa Lo Prison for those who died and were incarcerated in the prison under French colonial rule of Indochina. Photo by David Coleman. How to license & download this image. 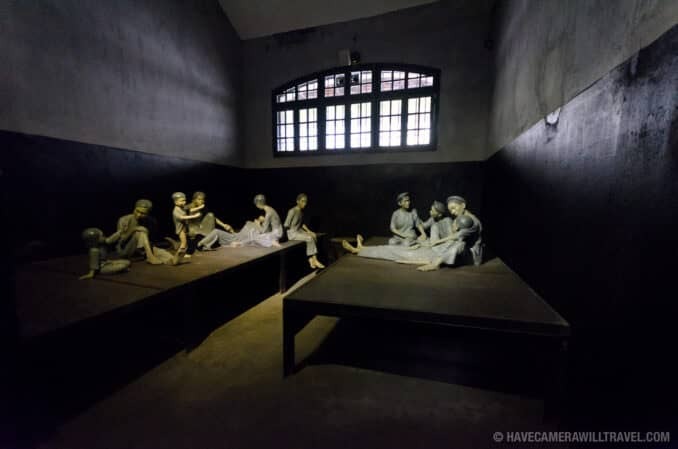 Two tourists walk through a room demonstrating the rooms that the general prison population was kept in at Hoa Lo Prison, with plastic sculptures representing the prisoners shackled by one leg into irons running the length of each side of the room. Photo by David Coleman. How to license & download this image. The group cell for women prisoners. 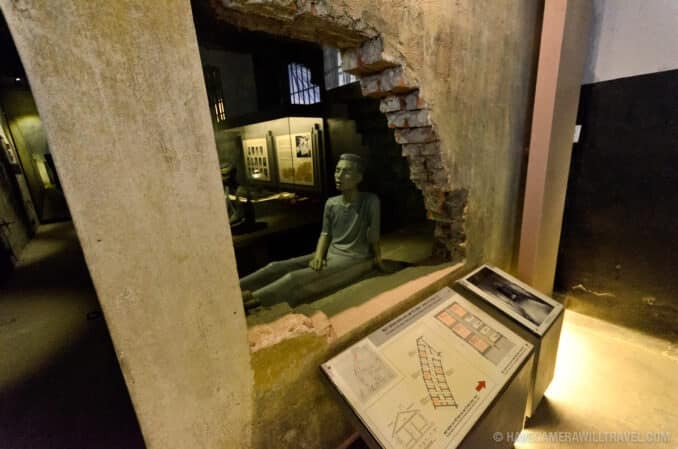 Sculptured figures are used to demonstrate the conditions for female prisoners at Hoa Lo Prison under French colonial rule. Photo by David Coleman. How to license & download this image. View of the corridor along death row, where prisoners destined for execution were kept in isolation. On either side are doors to the cells. 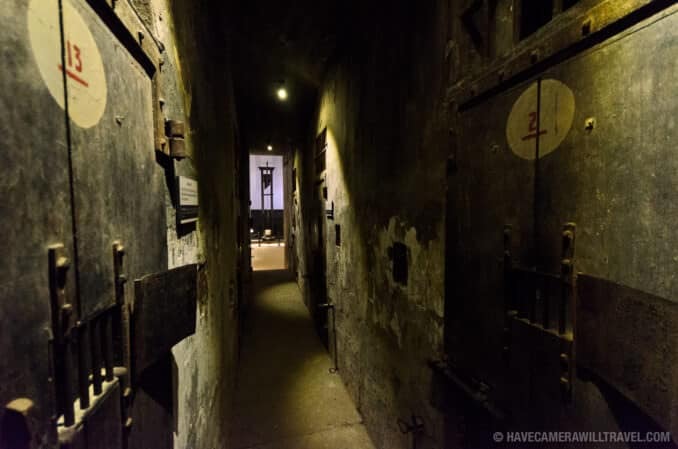 In the distance, down the corridor, is one of the guillotines that the French colonial government used for executions. Photo by David Coleman. How to license & download this image. 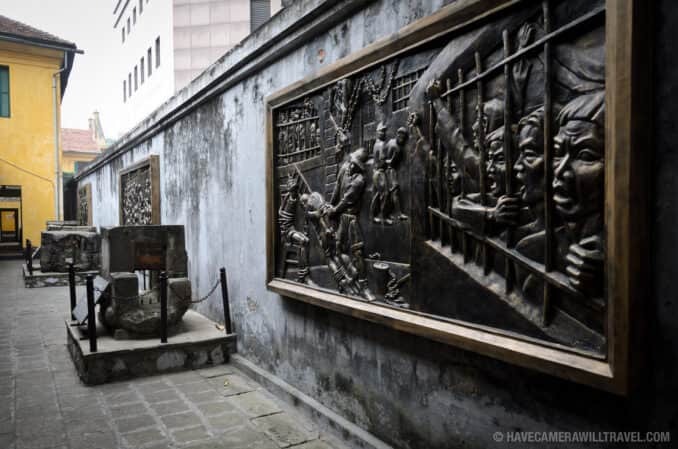 At right and in the distance, mounted on the wall, are bronze murals depicting the harsh conditions for prisoners at Hoa Lo Prison under French colonial rule. At left is an example of the very small drainage tunnel that several prisoners escaped through. Photo by David Coleman. How to license & download this image. 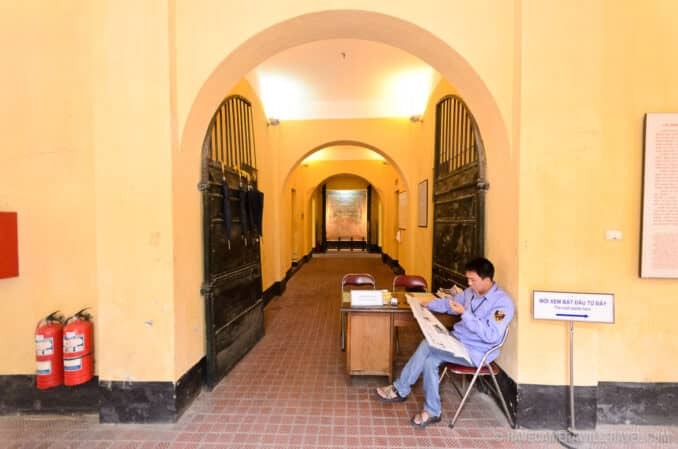 A guard sits at the main entrance of Hoa Lo Prison museum collecting tickets from visitors. Photo by David Coleman. How to license & download this image. 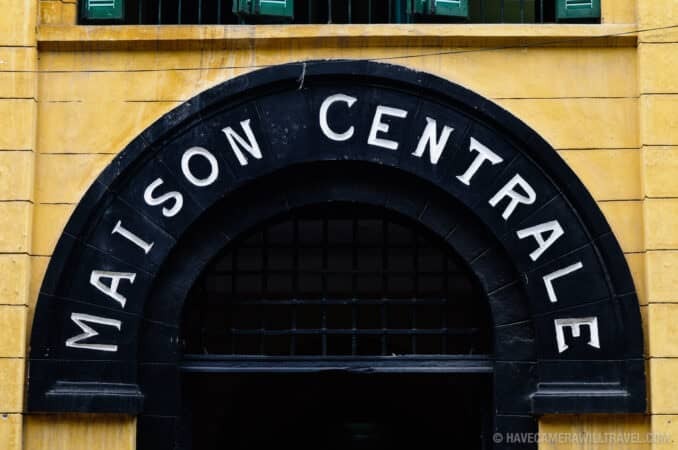 The entrance to the area known as the dungeon of Hoa Lo Prison. Used for solitary confinement and "special" treatment, these rooms were dark and small. Inmates were shackled in place in their cells. Photo by David Coleman. How to license & download this image. 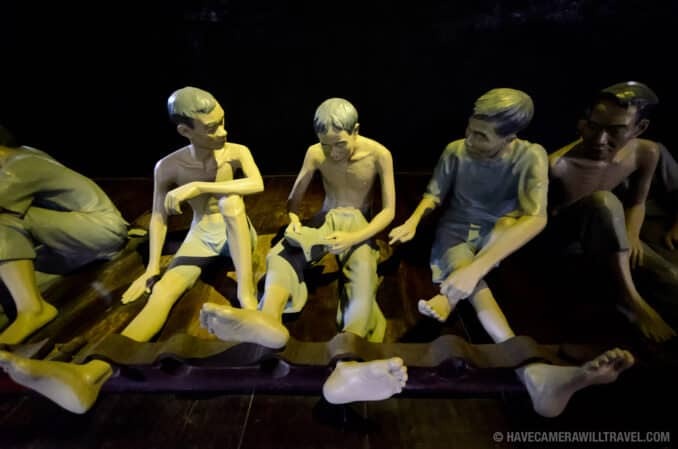 Detail of some of the sculptures illustrating the conditions that inmates were kept in at Hoa Lo Prison, with one leg shackled to prevent movement. 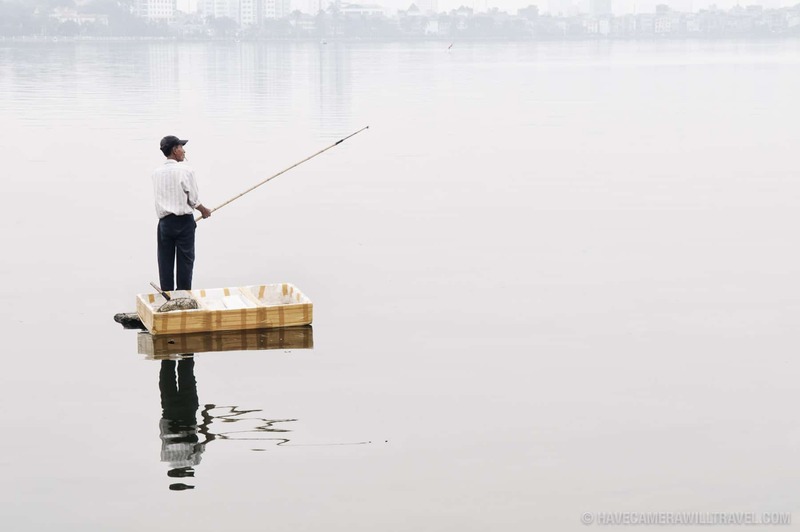 Photo by David Coleman. How to license & download this image. Visiting is self-guided. You probably won't need to allow much longer than an hour or so. The signs and exhibit panels are in Vietnamese, French, and English. It's an easy walk from the Old Quarter.